Wasp: I finally finished my pirate costume! I've been working on it since before the Academy opened! Iron Man: Why didn't you just buy one? Wasp: Um, because I'm a multi-talented designer-slash-fashionista? Besides, have you ever searched lady pirate costumes? Iron Man: It's the first thing I do every morning. Iron Man: It was all worth it. You look amazing. Pirate Wasp: Thanks, Tony. I almost didn't pull my teeth out to stick in the gold ones, but no halfsies on Halloween! Iron Man: I...uh...is the sword real too? Pirate Wasp: We won't know for sure until I stab someone! Pirate Wasp: Let's do something piratey! Like steal a ship! Or get scurvy! Pirate Wasp: Thar she blows! Iron Man: Are you saying that's a good idea, or are you just screaming random pirate things? Pirate Wasp: Shiver me timbers! Iron Man: How do you even walk like that? Pirate Wasp: This is what I walk like when I don't wear heels. Iron Man: I can't tell if you're joking and that worries me. Iron Man: What's next, Captain Wasp? 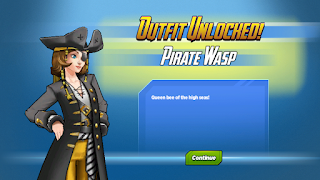 Pirate Wasp: Hoist the anchor or walk the plank! Pirate Wasp: Then start planking! Pirate Wasp: Last person who told me that is swimming with the fishes. Pirate Wasp: We all chipped in, and got Mr. Fury a ticket to swim with the dolphins! Iron Man: Dolphins are mammals. 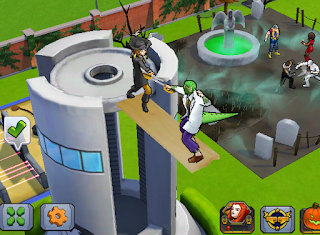 Iron Man: Captain Wasp, I challenge ye to a duel! Iron Man: You are very convincing when you're angry. Pirate Wasp: I totally almost murdered you! Nick Fury: I hear you've been terrorizing the high seas. And spreading misinformation about dolphin classification. Nick Fury: Yeah. It's the first thin they teach you before you get in the dolphin pool. 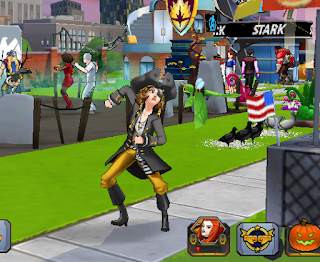 Nick Fury: But your eye patch game is strong. 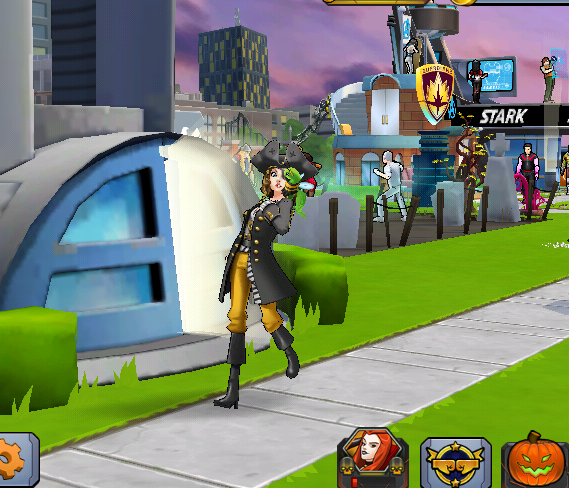 Pirate Wasp: Me, you and Mr. Odin should totally take a Team Eye Patch selfie! 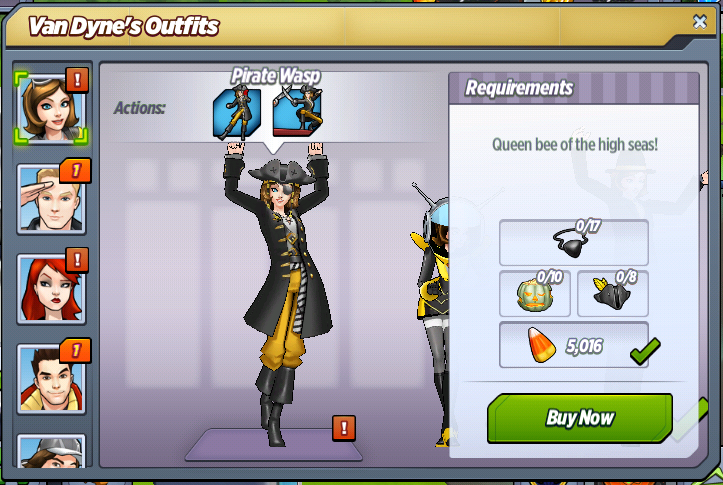 What do you think of Pirate Wasp? Have you managed to unlock her yet? Loving the lil Princess Bride references?